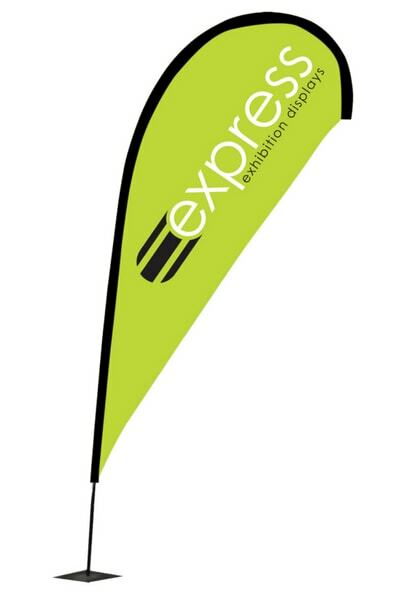 Our large promotional teardrop flag stands at over 3.3 metres tall, so can definitely draw attention to itself at festivals and other crowded outdoor events. Its teardrop shape is a very popular choice with a rounded top and tapered end to create its unique and eye-catching shape. Bases are sold separately and help to steady your display both indoors and outdoors.